The Chicago Cubs are back in the post season and have captured the NL Central Division - clinching their Division Title a full two weeks ahead of the end of the regular season. 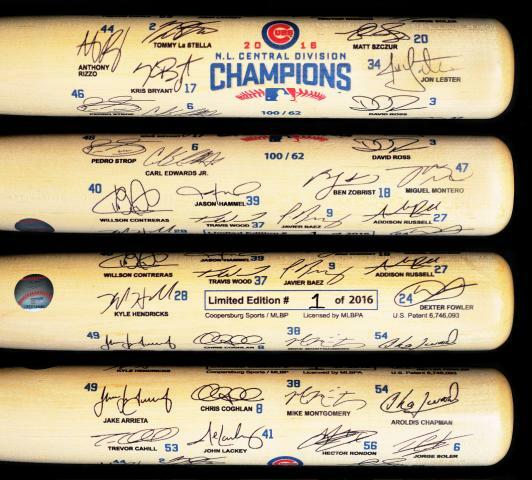 We are proud to offer Cubs fans this limited edition Full Size Team Signature Bat to celebrate the team's 2016 NL Central Division Championship. These full size bats feature the facsimile signatures of the members of this year's team, the team's Final Regular Season record and makes a nice addition to any collection. Order yours before they are gone. Due to the limited nature of this offer we must charge your credit card for the full amount immediately upon taking your order. This policy ensures we reserve a bat for you We will confirm your order by Email. This bat is not game used. Please allow 4 to 6 weeks for delivery following the last day of the 2016 regular season. 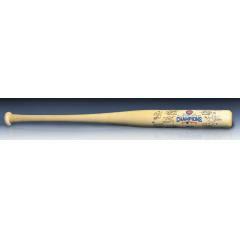 - Due to contractual obligations, Jason Heyward's signature will not appear on the bat.